LONDON, United Kingdom — According to a new report by the Soil Association, the UK’s organic market has topped £2 billion, reflecting the significance of and continued growth of the segment. 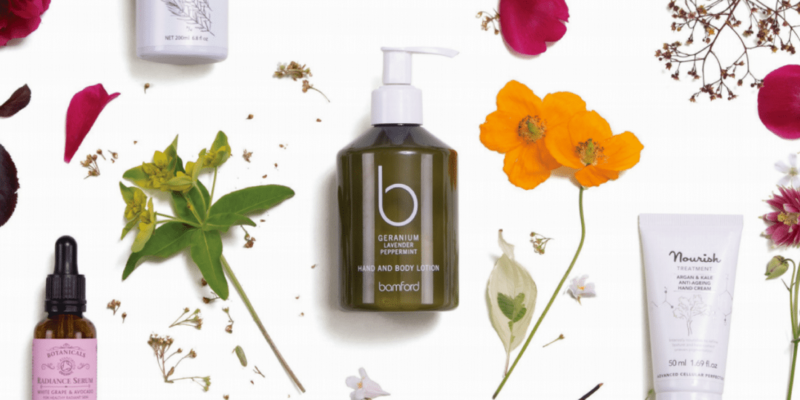 The Organic Beauty and Wellbeing Market Report also revealed that sales of certified organic and natural beauty products increased by 13% in 2016 to £61.2 million, with Soil Association certified beauty brands increasing 22% to 268 licensees since 2016. “With demand for organic and natural products on the rise, it’s an exciting time for the industry,” commented Lauren Bartley, Health & Beauty Business Development Manager at the Soil Association Certification. Predicting another year of consecutive growth for the beauty and wellbeing sector, Bartley also revealed that with “a small but growing range of certified products on offer in health food retailers and with very few mainstream retail outlets stocking organic,” the market presents a huge opportunity for organic brands. Drawing attention to the trends driving the organic beauty market, the report predicts that in 2017 thanks to an increase in demand for ethical and simplistic ingredients more beauty products containing unusual food ingredients like cactus and maple will emerge. In addition, the market will see a shift towards the use of more sustainable, green ingredients, as well as increased brand transparency. The Body Shop’s decision to launch an innovation lab to create new beauty ranges using natural and “community trade” ingredients is just one example of how leading cosmetic and skincare brands are also getting in on the act. According to the report, other trends including natural and organic product range extensions towards men, children and mums-to-be will also play a larger role in the market as established organic and natural brands diversify into other product categories with exponential potential. For British organic skin care brand Pai launching a children’s range was a natural step. “We had the idea for Petit Pai a long time ago but customer demand really put the wheels in motion,” explained Sarah Brown, founder, Petit Pai. “More consumers than ever are choosing organic for their own skincare, so it’s often a natural progression to choose the same for their children,” she added. With heightened consumer awareness of the Soil Association and demand for its organic guarantee through certification growing, the report concludes that international demand and recognition of certification within cosmetics will continue to grow. However, the challenge for brands will be breaking through the proliferation of confusing and conflicting health claims to connect with consumers in a clear and simple way. This it argues, reinforces the importance and purpose of certification.